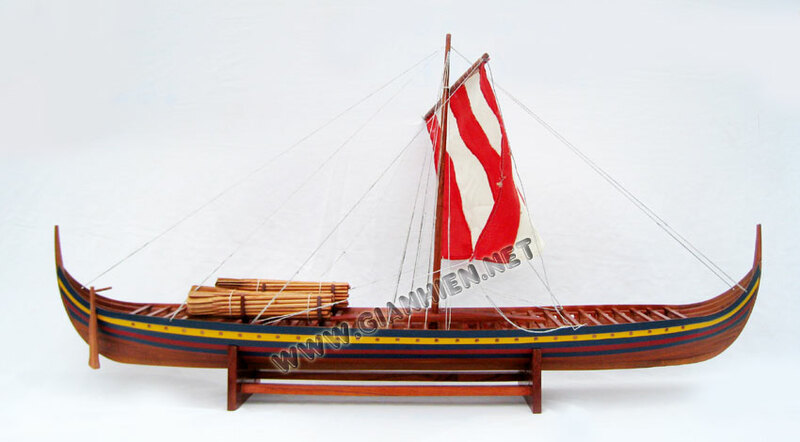 Model is handcrafted from hard wood with clinker built hull with overlapping strakes construction just exactly like the original Viking ship has ever been built. Skuldelev 2 is an oak-built, sea-going warship, a long ship, possibly of the skeid type. It is approximately 30 m long and 3.8 m wide, and would have had a crew of 70-80. Dendrochronology showed that the ship was built in the Dublin area around 1042. The shape of the ship would have allowed for great speed, up to 15 knots (28 km/h) with a rowing crew of 60 and higher under sail. 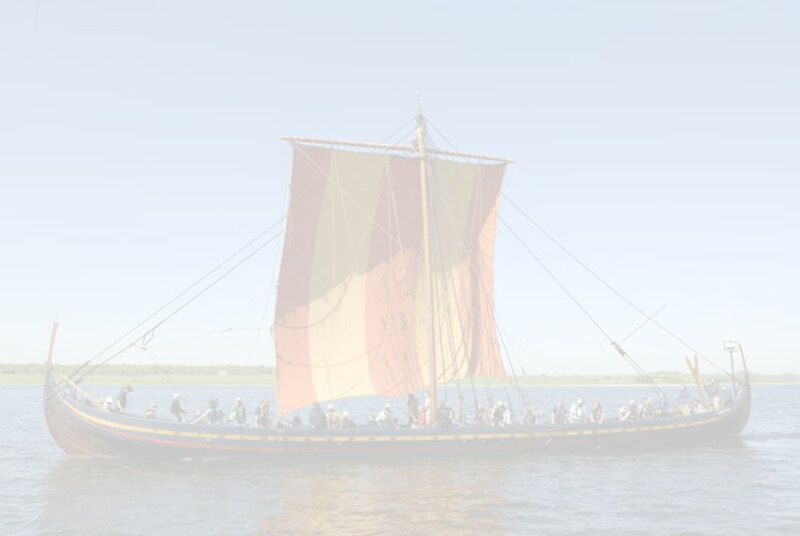 It is one of the longest Viking-ship ever found. 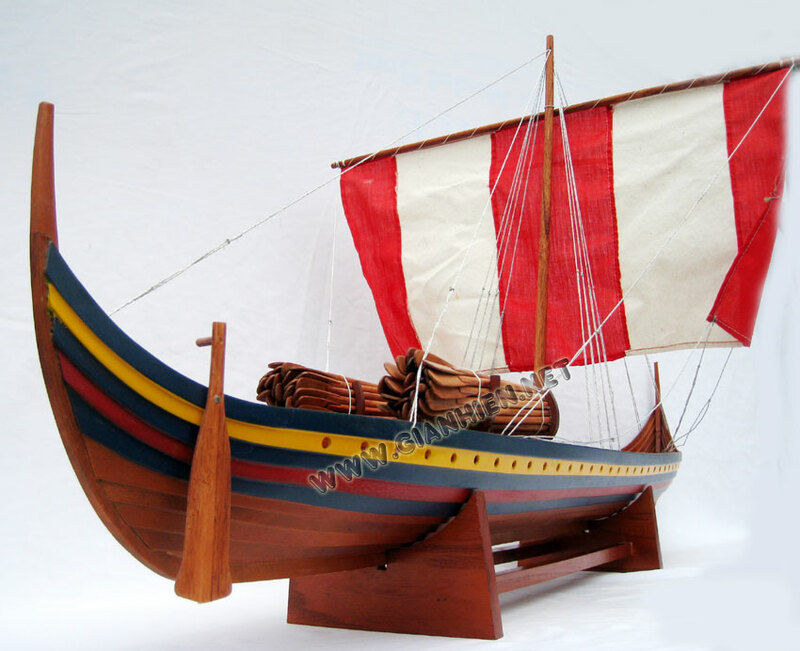 The replica of the Skuldelev 2 long ship sails again. 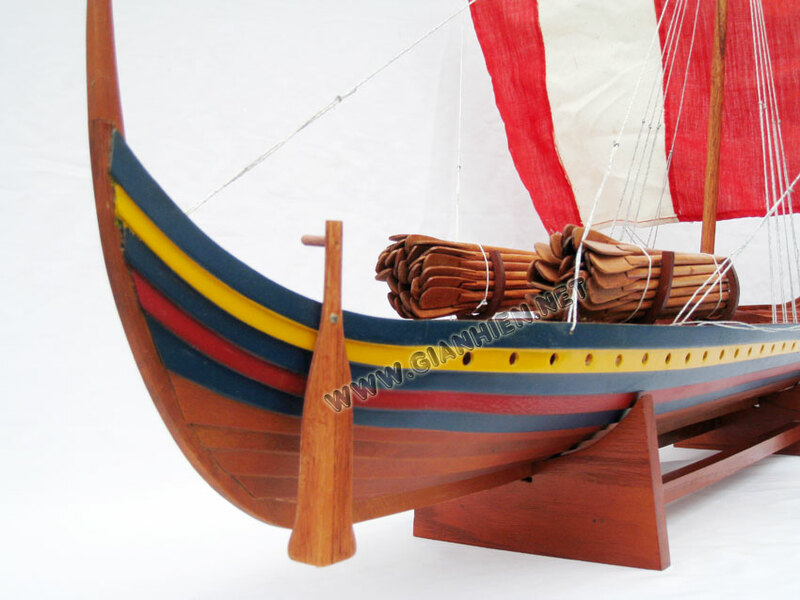 Length: 29,4 m Breadth: 3,8 m Crew: 60 - 100 men The replicas name is "Havhingsten fra Glendalough" which means "The sea stallion from Glendalough". The name refers to the fact, that the original ship was build in Ireland. The dendrocronological test performed on the original ship timber shows that the wood once grow in an area just south of the Viking town Dublin. Gendalough is a small village south of Dublin which is well known for its good quality of oak timber. 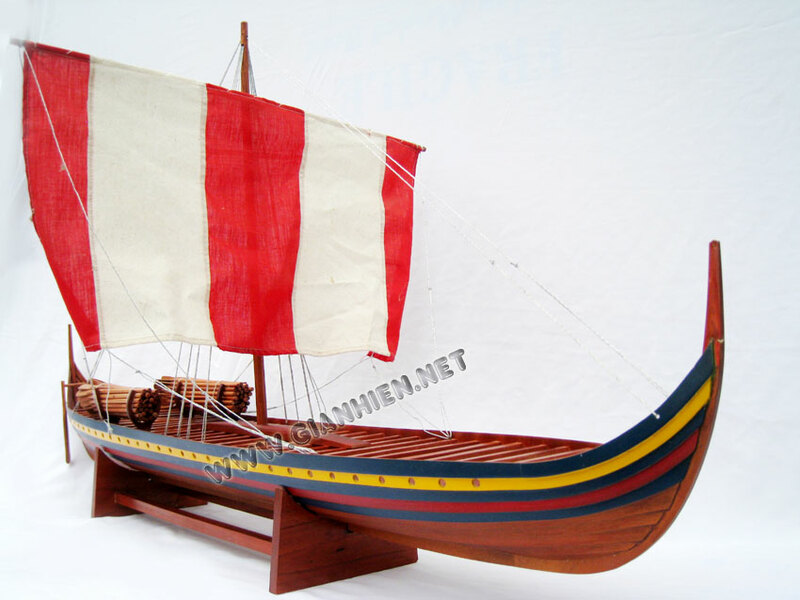 It is very likely that the viking used timber from that exact area already 1000 years ago. 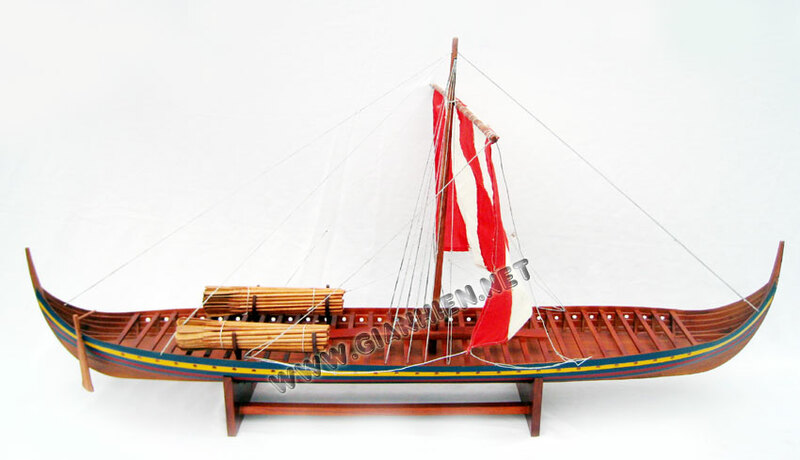 .Model is packed with mast fold flat down to minimize the shipping cost.